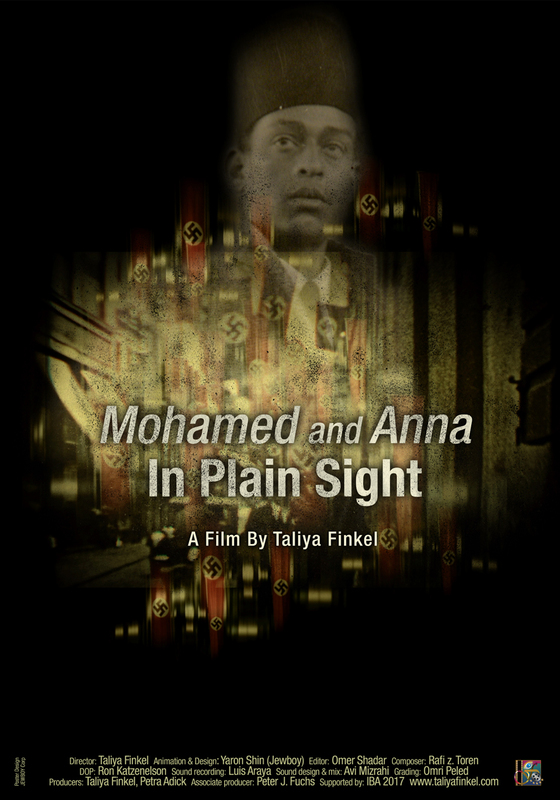 The movie “Mohamed and Anna in plain sight” brings the exciting story of Dr. Mohamed Helmy, an Egyptian doctor who lived in Germany. He was recognized in Israel as the first and only Arab ‘Righteous among the Nations’. Ronen Steinke, a journalist reveals to the audience a remarkable story: Helmy arrived from Egypt to Berlin in 1920 to study medicine. He was a humanist, a proud man who did not hesitate to freely say what he thinks about the Nazi regime. He lived in central Berlin and practiced medicine. During this time he saved by extraordinary tricks and deceptions a Jewish girl named Anna Boros, hence taking a great risk for his own life. The movie was shot in the authentic locations in Berlin during winter time of 2017 when the frozen streets are mostly empty and echo the complex history of this city. The movie incorporates rare photographs and archive film clips shot in Berlin during the 1930’s and 1940’s.